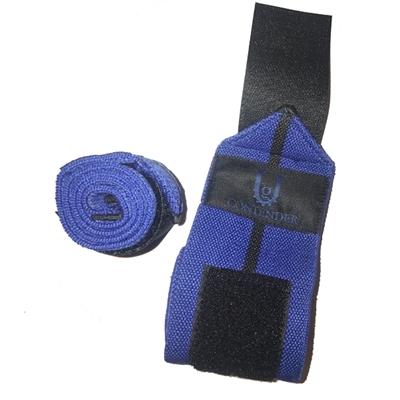 Unbreakable Gear's NEW CONTENDER Wrist Wraps are a lighter version of our other wraps but will still provide you the support you need. They are comfortable & pliable and will increase your wrist support and the amount of weight that you can lift. They are less aggressive than the Annihilators but will still have you prepared to break PR's all day long. Available in 24".